Get excited about a goal that will take you on an adventure, is 100 percent locally organized and hosted, and raises money for local disabled athletes to help them keep living a fit life. CoreFit inc. created this obstacle race for the PNW to give our OCR racers and those who are thinking about the sport, a chance to experience the excitement and challenge obstacle racing has to offer. If you already love OCR then you won't want to miss this! This race will run smooth and consist of high quality obstacles that make this race the "Ultimate Fitness Run." This is the perfect opportunity for traditional runners, crossfitters, and any fitness and outdoor to experience the beautiful course and the fitness challenge of combining endurance and strength in one sport and fun it brings to our participants. The Open: Athletes running will be able to experience an obstacle race and all its challenges but at a shorter distance and in a less competitive atmosphere. This is perfect for the first time obstacle racer. Just focus on having fun and getting through the course while learning or practicing your OCR skills. Uncompleted obstacles will have a penalty attached to them such as the burpee. In the one heats this is given with some leeway, for example The bupree penalty can be split up amongst any potential running partners. Performing the movement to the best of your ability and counting your reps is left up to you. This event event is all about having a good time while taking on the challenge to the best of your abilities. Distance - The open will be between 3-5 miles. The Competitive Division: Just like it sounds, this is the perfect event to sign up for if you want to test your fitness and see how you can do amongst your peers. Burpees and other penalties- Everyone must complete 30 burpees (to the standard) for failed obstacles. These cannot be shared. Failure to do so will result in disqualification and ineligibility for any prizes. Obstacles - You must be able to complete all obstacles to the standard or complete the penalty for failure of when applicable. Some obstacles must be completed and cannot be traded in for burpees, example, the bucket carry. Distance - The course will be between 7-10 miles. Timing - All races will be timed. Prizes and trophies for the top finishers in the competitive and open divisions will be awarded. 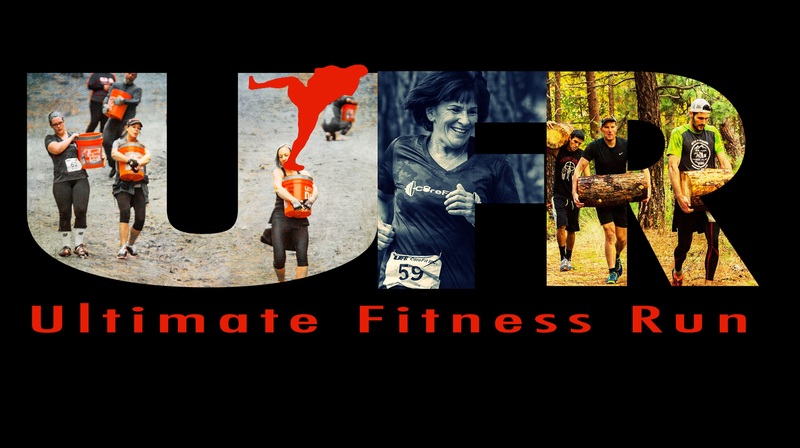 100% of the money raised by the UFR goes to our nonprofit we work with or back into the race to continue to make it better each year for our participants. It is our motivation each year to grow this event to fund our program at CoreFit for Team St. Lukes. As many of our competitors know, the benefits of using your body for exercise are invaluable and bringing these opportunities for our wheel chair bound population are made possible by events like this. Organizations like St. Lukes and CoreFit have created special adaptive programs to make this possible at virtually no cost to our adaptive athletes. With the athletes dedication and perseverance to empower their lives, we have applied our concept of living life to the fullest and created a class that gives these athletes a chance to work hard, sweat and feel the life inside them through the power of a workout. As you train for this event and feel the intensity of the work, appreciate the opportunity and enjoy the life pumping through you!